I have had a very long September, and also, I can’t figure out where it went. I know those things make no sense together. They are also totally true. Antigone – My tenth graders read Antigone. So, we got to talk about fatal flaws and knowing when to keep your mouth shut. How sometimes your pride gets in the way of what we really wanted in the first place. We talked about strong women and how some people don’t like that. I love Antigone, and fully believe that if you hate it, it was taught to you wrong. Such a great play. Animal Farm- I taught Animal Farm, and I cried. Again. I love that book so much. It is about Communism and Trotsky and Lenin, but mostly it is about power, and how when we get it, it is really easy to abuse, and how we have to be very careful where we get our information and what we believe. Happy Light– If you have been reading on here any length of time, you know I struggle with depression. Just enough, really so that I can pretend I don’t have a problem. This year, when I got back to school it smacked me dead in the face and I could not recover. I was like, what the heck is wrong with me? I figure it out though! My classroom has no windows. None. I bought this happy light on Amazon, and immediately, I mean two days later immediately, my depression was gone and has not come back. I thought the woman on the box was ridiculous, but now, I feel like her. Dickies- I feel old and lame admitting that these are my absolute favorite dress pants, but they are. I liked them so much in black, I ordered them in tan. My kids like to hug and pull on me the second I get in the door, so I like the weight of these pants. My lovely girls have put runs in pants a little less sturdy. Also, they are flattering and comfortable. Starting your Christmas shopping- I am about 50% done with my Christmas shopping and I am glad. 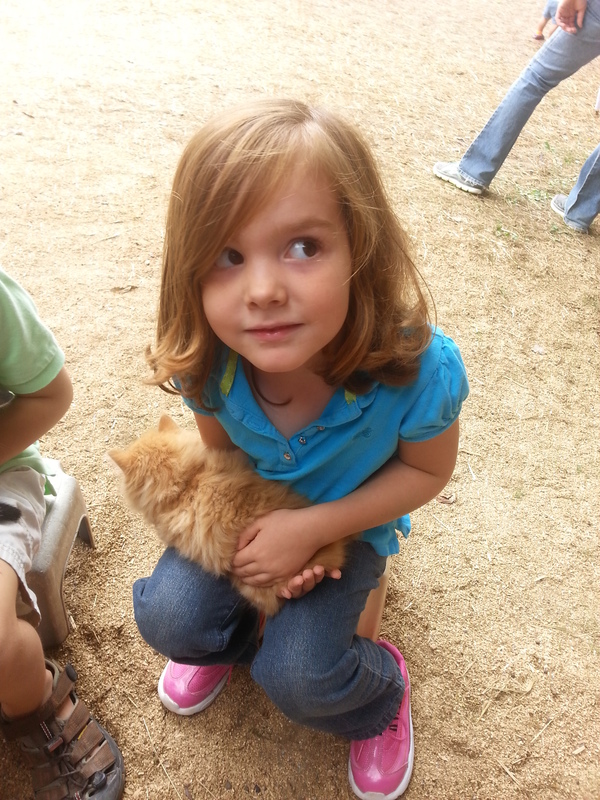 We do the whole: something to wear, to read, you want, and need for the girls. I have done everything but the need (probably tights). Brenna is teaching an advent course I am wanting to take, and I want to have time to really think about it. Re-dying your pants- For less than seven dollars you can make your faded black pants that fit you perfectly brand new. 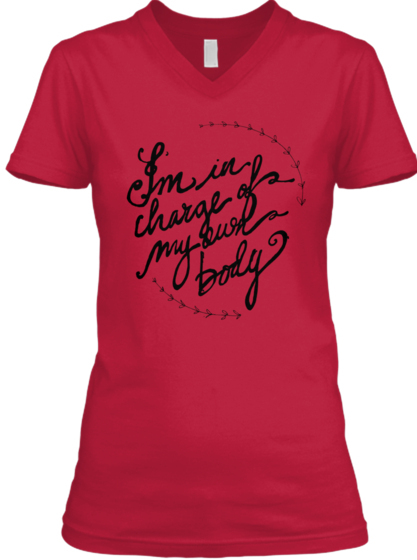 Same goes for turquoise, and red, and even dark denim. 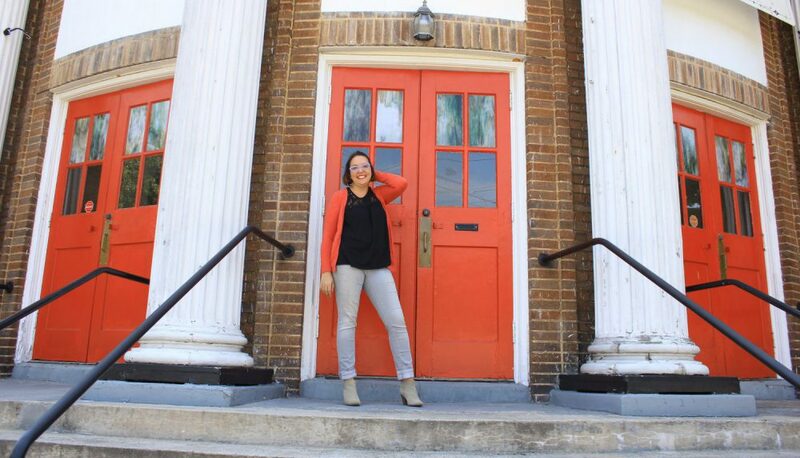 I gave three different pairs of pants a new life in my washing machine using rit dye. 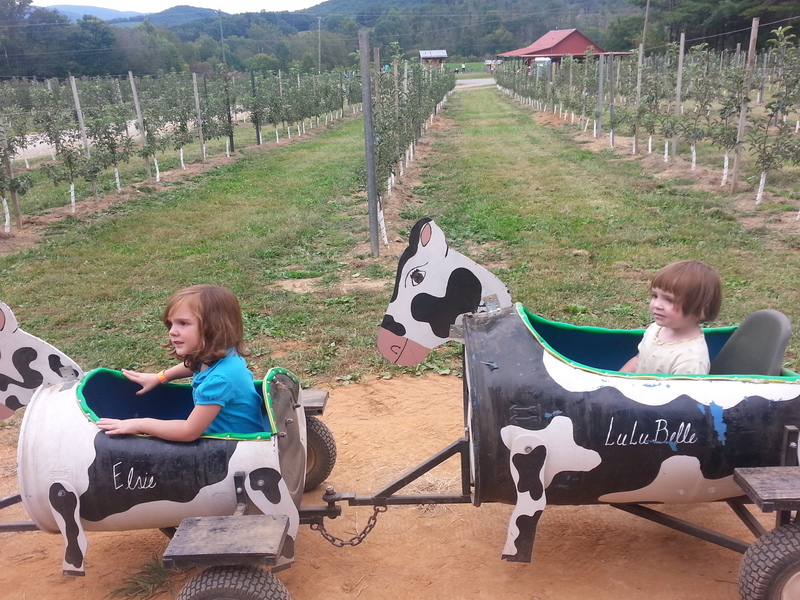 Hill Crest Orchard- We had a family day with my sister and her husband at the Hillcrest Orchard. 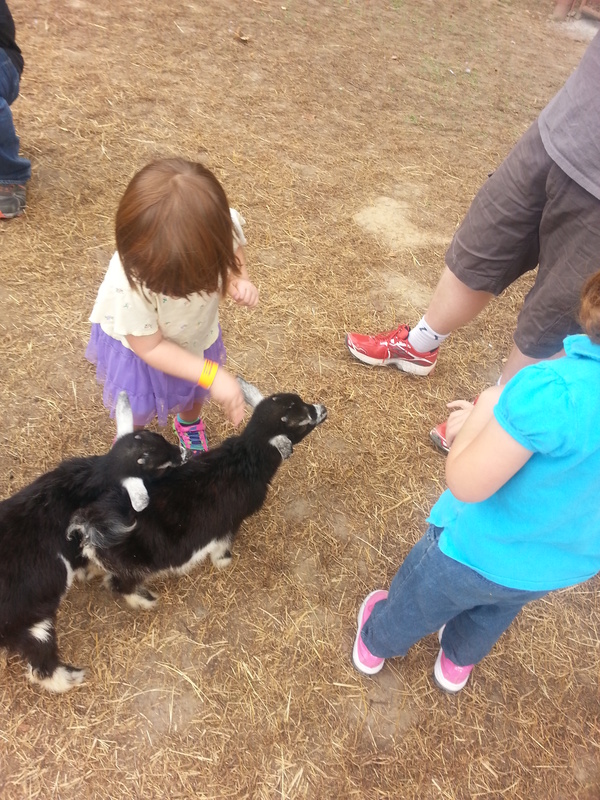 It is seven dollars to get in, and three dollars more for the petting farm. And totally TOTALLY worth every penny. 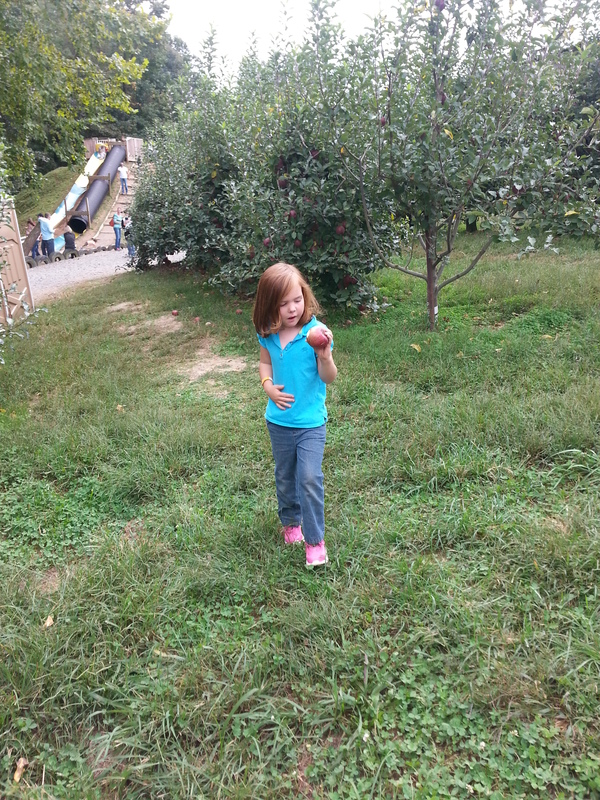 We did so much of everything else we forgot to pick very many apples and had to buy some on the way out. 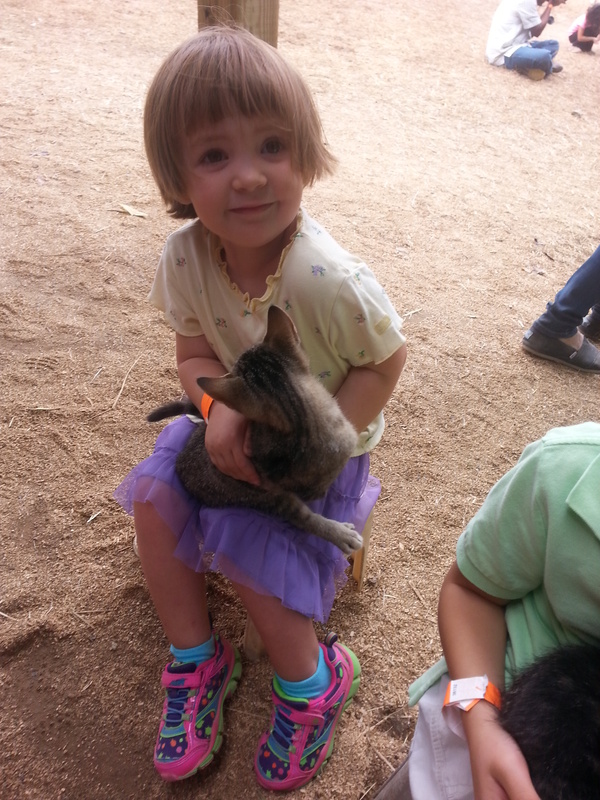 Petting goats and chickens and kitties, the cow train, the giant slide, the mule wagon ride and the tractor wagon ride, the jumping pillow, the tractor tri-cycles, the milking a cow. 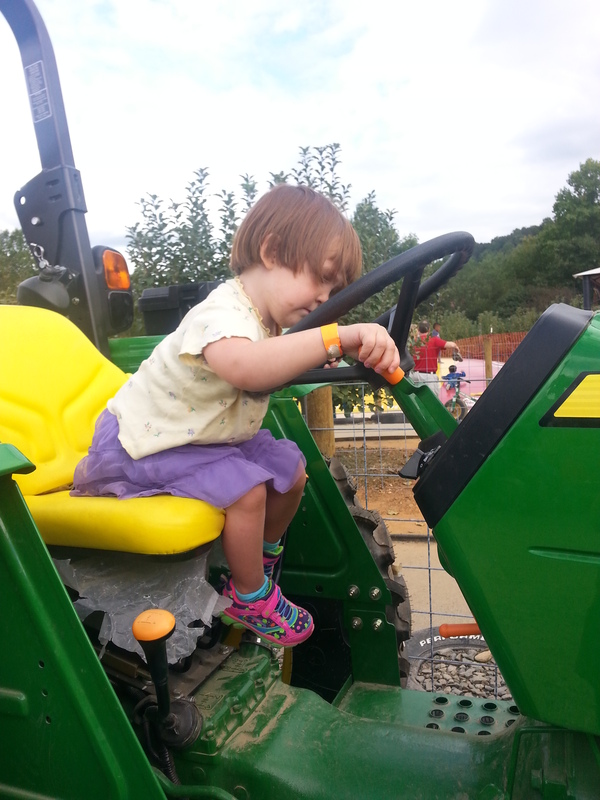 (Juliet was especially enamored and likes to tell people the right way to do it.) We all had a fantastic day and didn’t even get to the ponies or the mini-golf. We are, for sure, coming back next year. My Dear Friend Gayl’s: Jennifer and I took a day to go see our dear friends Gayl and Jamie (they are mother and daughter), at Gayl’s house. It was so wonderful. Picturesque and simple and perfectly inviting. Good conversation over good food and hugging people that you usually just see through a screen is awesome. 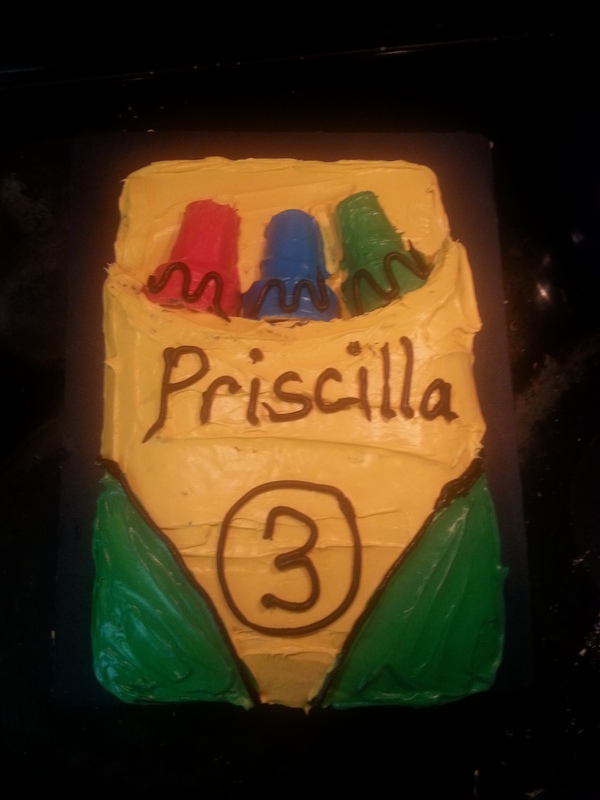 Crayon Cakes: I made this adorable cake for Priscilla’s birthday. It was not that hard and I totally recommend it. It was choclate inside, of course. My girls know how to pick cakes. 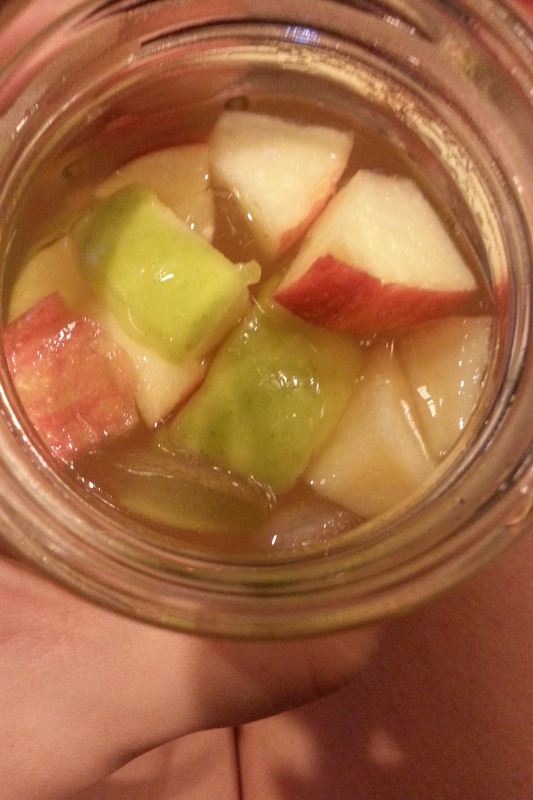 Caramel Apple Sangria: One of my co-workers mentioned this in passing. I used this recipe, and it is as good as you think it will be. Worth the three trips to the various liquor stores to find caramel vodka. So yummy. So easy. I am pretty sure I am serving it for my birthday party! Soups: I don’t really have a recipe but I put a can of garbanzo beans, some frozen spinach, some Italian sausage and some tortellini in the Tuscany blend chicken broth. It took fifteen minutes and my husband thinks I am a genius. They have a Thai blend that I am thinking about now. I wrote some things I am really proud of this month. 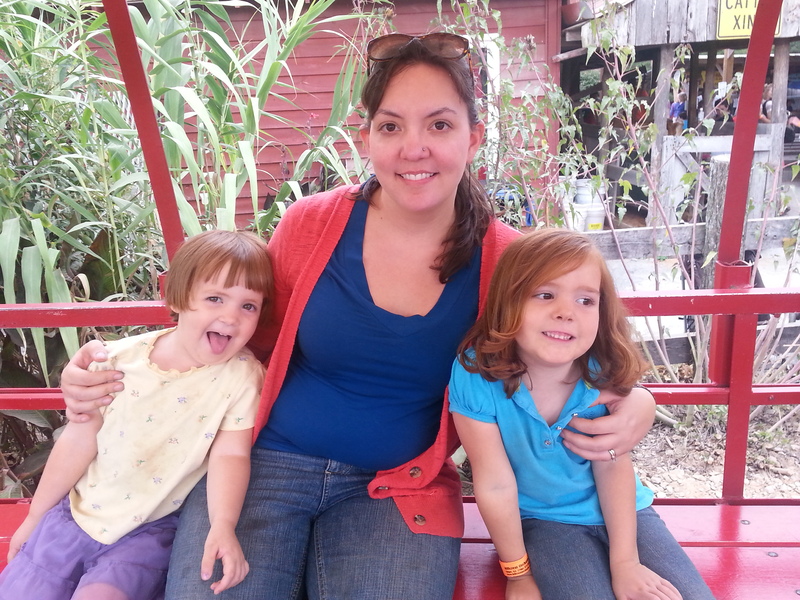 On heartbreak, the awesome dad I had, and authority. And then a post I wrote last year resurrected itself, and I found many new readers! YEAH! So glad to have you. I am only about twenty people shy of a thousand likes on my Facebook page. Every Thursday we gather to rally, and cheer each other on. Y’all are really awesome, and need to be reminded at least weekly. My Tedx talk is coming up quick, so I am shutting it down until then. No plans, no road trips, probably very little blogging. Maybe even less time on social media. I know I need to, and that everyone understands, but it feels scary to unplug. I am sort of nervous about this talk and would appreciate any good will you might have for me. While it may be quiet here, I will be featuring all my awesome friends who are blogging for 31 days straight in October! When I give my talk I will re-open my cool t-shirts in case you missed them, and add kids t-shirts. After I put myself in time out I will be celebrating BIRTHDAY MONTH! Super excited about my cake, that I will make myself with my mother’s recipe. I ordered the girls Halloween costumes, expect total cuteness. 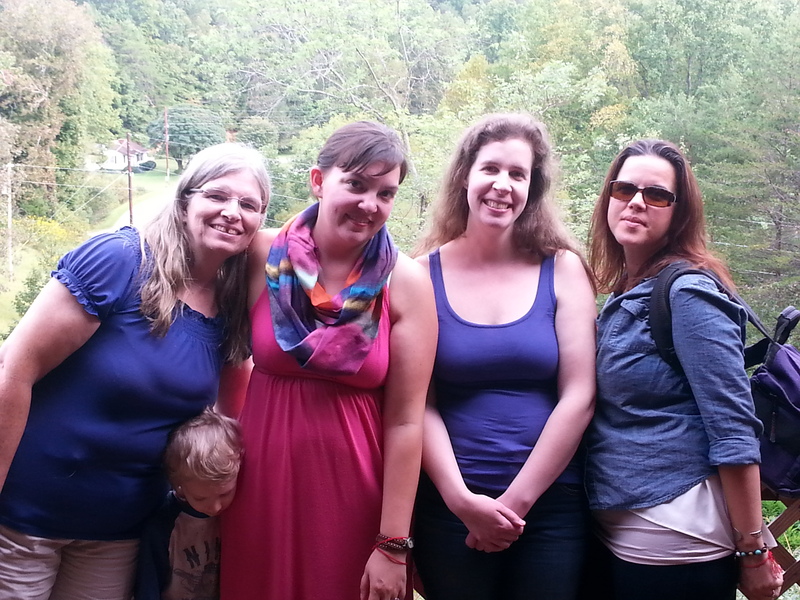 As always, I am linking up with Leigh, and would LOVE to know what you are into too! “It took fifteen minutes and my husband thinks I am a genius.” These are my favorite kinds of meals to make. And now I need soup. YES! I would be interested in knowing what you come up with. It was so good to get to hug you and Jennifer. Wonderful visit. Also, I am so glad you shared the recipe for that Sangria because I totally want to try it! Yum. Aug, Sept & Oct are killer for teachers! Add on top of that chronic pain/illness and a dusting of depression & it’s amazing we make it. But we do, because we have a purpose! So shine on…even if it’s by artificial light. (Yes, I believe seasonal disorder is real & I am so thankful for my windows.) Good for you for taking the time you need! I’ll be praying for your Tedx talk! I’ve shared your blog in my Fierce Women small group & have forwarded you to my friends at school many times. You are touching many people! Thank you so much. Sometimes the internet world is weirdly silent and I tuck these comments in for the hard days. Thank you. And don’t be surprised if I invite myself over sometimes. Your house is magic. You are welcome any time you want to come! Thanks for sharing all of those pictures. I will be praying for your Ted talk. I know you will rock it. I can’t believe you’re half done with your Christmas shopping already! I’m truly impressed. I’m hoping to get a lot of done this month and next. That crayon cake is cute! You’re going to rock that TEDx talk, I just know it. Can’t wait to hear all about it! thanks leigh! I guess we will find out next month. 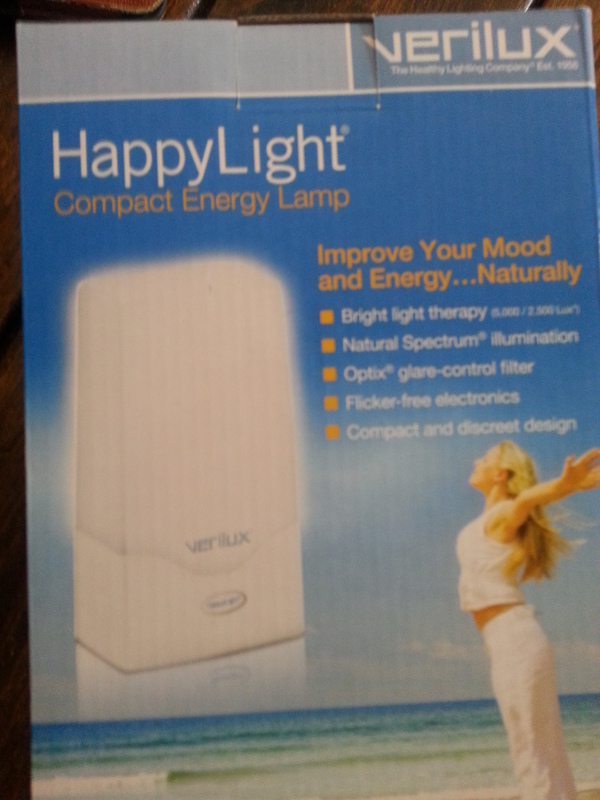 I have the same Happy Light, and it’s about time for me to start using it too! I always say, who cares if it’s a placebo effect as long as it works.